Getting started right is important – and- when you start, genre doesn’t really matter. The goals is to write strong songs. You can write for any genre once you’ve got the basic down. That’s why we’ve put together a list of beginning songwriter books and gear to use as your jump start to awesome songs! Beginning songwriter books are not just about songwriting. There are also some books to help with rhyme, finding different ways of saying things, getting the basics of poetry down to help with things like imagery and storytelling. 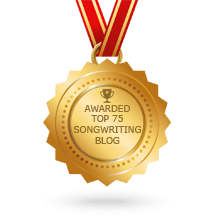 If you’re just starting out as a songwriter, you might feel overwhelmed by the barrage of recommendations coming at you! 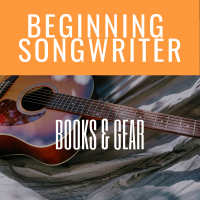 Here are some beginning songwriter books and basic gear to help you get started with a solid foundation.